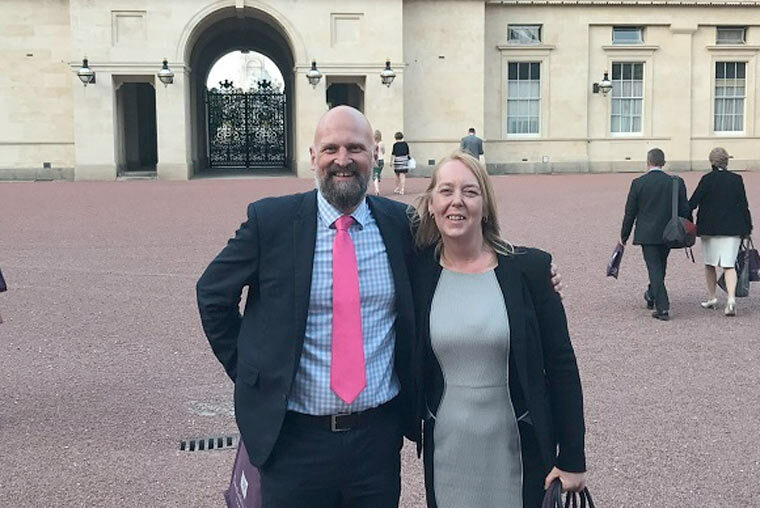 A Bournemouth-based charity, the Crumbs Project, was amongst 150 charities attending a reception at Buckingham Palace hosted by HRH The Price of Wales to celebrate the 60th anniversary of the Garfield Weston Foundation. HRH The Prince of Wales hosted a reception at Buckingham Palace earlier this month, to celebrate the 60th anniversary of the Garfield Weston Foundation, which supports a wide range of charities across the country, one of which is the Bournemouth-based Crumbs Project. Based at its training facility in Bournemouth, Crumbs provides practical training for adults with learning disabilities, mental health issues and stabilized addictions, supporting trainees into employment. Crumbs trustee, Jon Rook and operations manager, Leanne Miller joined 300 guests at the Ball Room in Buckingham Palace. Charitable representatives enjoyed a royal reception and the opportunity to meet Prince Charles.